Robert Farley explains that the U.S. Air Force is still unsuited to achieving soft power ends. First, Dr. Lowther argues that comparison of The Cooperative Strategy to “Global Reach, Global Power” is misleading, given that the latter is “an Air Force document written immediately following the Soviet Union’s demise.” I invite the reader to browse the second page of the Global Partnership Strategy, which reads “you can’t have global vigilance, reach, and power for America without global partnerships.” The implication is obvious; the Air Force conceives of partnership in context of the pursuit of the aims of Global Reach and Global Power. Consequently, Global Reach, Global Power remains relevant for understanding how the Air Force conceives of its diplomatic role. In this context, comparison between CS-21 and Global Reach, Global Power is appropriate; both are modern interpretations of long-term themes in how the Navy and the Air Force conceptualize their contribution to American power. Lowther’s own work on the subject is telling. Three of his six vectors of airpower diplomacy (Preventive, Coercive, and Deterrence) rely on the use of hard power to achieve diplomatic ends, while one (Military, Commercial, Traditional) involves training, arms sale, and partnership development that, while surely valuable, have no specific airpower component. Public diplomacy (Dr. Lowther gives the example of U.S. participation at international air shows) and humanitarian assistance (relief operations in Haiti and Pakistan, for example) surely do represent soft power, but hardly appear to be the focus of the Air Force’s diplomatic approach. Indeed, as Dr. Lowther points out, the primary contribution that the Air Force has made to the maintenance of the international system since the end of the Cold war is through kinetic, hard power. This should surprise no one, given the cultural roots of modern airpower. The Air Force is likely to embrace a model of cyber deterrence based on countervalue targeting and response, though it will resist counterforce cyber deterrence. Some analysts question the applicability of deterrence models to cyber affairs, and argue that deterrence is not only an inappropriate model, but a counterproductive one. The Air Force, however, will almost certainly use the concept, but design policies that flow from Douhet's logic of destroying the most first in order to break the will of the adversary. The implications are clear; naval power enables access to and use of the commons, a major end of multilateral diplomacy. Air power enables the defeat of enemies, a valuable but altogether less diplomatic goal. How does this matter for contemporary defense politics in Asia? The Navy’s vision of smart diplomacy can integrate and accommodate the growth of Chinese maritime power, depending on how responsibly China decides to use that power. The Air Force’s vision focuses primarily on the development of relationships with Pacific states that will facilitate the use of hard power in an effort to deter and, if necessary, defeat China. The chief end of diplomacy, for the Air Force, remains enabling U.S. airpower to strike and destroy the enemy through the most efficient means possible, a process requiring the development of bilateral relations with strategically located nations. For the Navy, diplomacy means developing an effective way to manage the maritime commons, an inherently multilateral task. One of these is about “soft power.” The other is not. 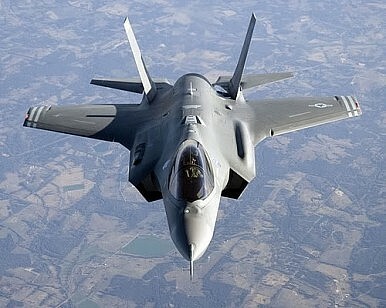 American Airpower = Soft Power?